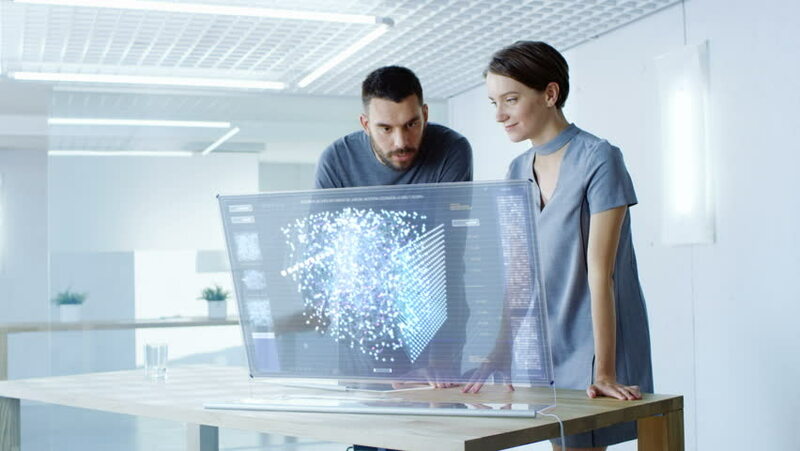 In the Near Future Male and Female Computer Engineers Talk While Working on the Transparent Display Computer. Screen Shows Interactive Neural Network, Artificial Intelligence Project. 4K UHD.